In this work, the relation between number of ES iterations and convergence of the whole GPA-ES hybrid algorithm will be studied due to increasing needs to analyze and model large data sets. Evolutionary algorithms are applicable in the areas which are not covered by neural networks and deep learning like search of algebraic model of data. The difference between time and algorithmic complexity will be also mentioned as well as the problems of multitasking implementation of GPA, where external influences complicate increasing of GPA efficiency via Pseudo Random Number Generator (PRNG) choice optimization. Hybrid evolutionary algorithms like GPA-ES uses GPA for solution structure development and Evolutionary Strategy (ES) for parameters identification are controlled by many parameters. The most significant are sizes of GPA population and sizes of ES populations related to each particular individual in GPA population. There is also limit of ES algorithm evolutionary cycles. This limit plays two contradictory roles. 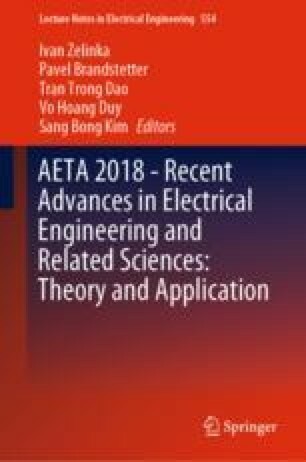 On one side bigger number of ES iterations means less chance to omit good solution for wrongly identified parameters, on the opposite side large number of ES iterations significantly increases computational time and thus limits application domain of GPA-ES algorithm. Access to computing and storage facilities owned by parties and projects contributing to the National Grid Infrastructure MetaCentrum provided under the programme “Projects of Large Research, Development, and Innovations Infrastructures” (CESNET LM2015042), is greatly appreciated.